Staff in libraries, entertainment venues, parks and leisure centres across Blaenau Gwent have voted to accept a much-improved pay offer from employer Aneurin Leisure Trust. The decision by receptionists, caterers, lifeguards, librarians and others formally brings their industrial dispute to a close and this has today (Thursday) been communicated to the Trust. 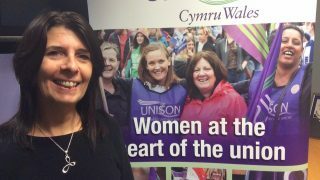 UNISON says a vote of 88 per cent in favour of striking by receptionists, caterers, lifeguards, librarians and others at Aneurin Leisure Trust forced the employer to concede a much more favourable pay offer. Sister unions GMB and Unite similarly threatened strike action. 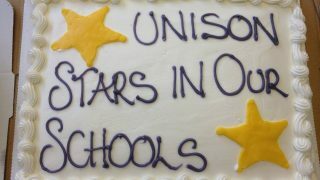 “People power and trade union campaigning have won the day at Aneurin Leisure. It’s a fabulous example to anyone on low wages or if you haven’t had a pay rise in ages. You can do something about it; you can challenge it and you can win by standing together with your workmates. 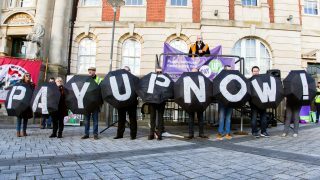 “The overwhelming vote for strike action of Aneurin Leisure workers forced the employer to concede a much-improved pay offer and this has been accepted by the staff. 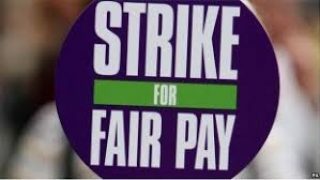 A 24 hour stoppage was to take place on Wednesday 7 November but UNISON suspended strike action to allow a consultative ballot of its members on the new pay offer.